Focusing on the quality of the MS Round Pipe, we aim to attain maximum client satisfaction. 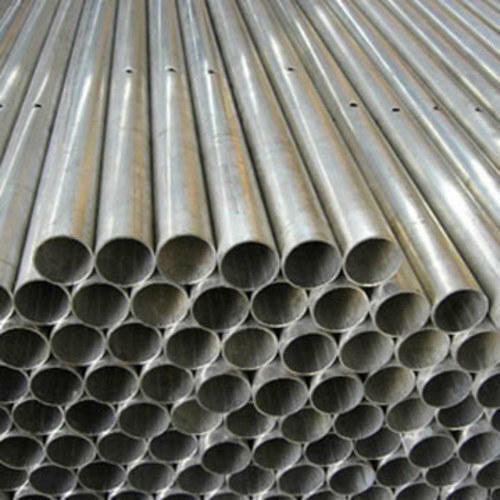 Since our establishment in the year 1995, we, L. S. Tubes, are engaged as one of the eminent wholesaler trader and exporter of a wide range of Zinc Pipes, Mild Steel Angle, Mild Steel Round Bars, MS Pipe, Scaffolding Pipe etc. High tensile strength, easy installation, lightweight, fine finish, robust construction and corrosion resistance are some of the features of our offered range of products. The range offered by us is developed with the help of modern machines at our vendors' premises. To suit the demands of customers, we are offering these products in different specifications at market leading prices.